In order for fish to thrive, water conditions in the aquarium need to be the same or very similar to those found in nature. This kit measures 5 of the most important aquarium conditions. Improper levels can cause fish stress, which can lead to illness and death. 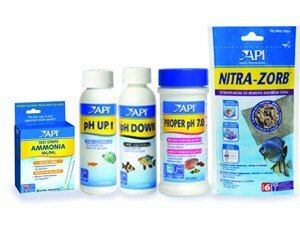 Follow the API EASY CARE GUIDE steps to simplify aquarium care. Regular testing of key water parameters is an essential part of routine aquarium maintenance. Levels should be tested weekly to make sure they do not reach undesirable levels.